This ecourse helps you develop your spiritual intelligence (SQ). Bring your soul to work to achieve your life purpose, improve your relationships, have a happier work environment and have greater peace and joy. Do you leave your heart on the couch when you head off to your job? Are you looking for more fulfillment or meaning at work? If your work-a-day world is draining your energy then it’s time to get an energy adjustment. 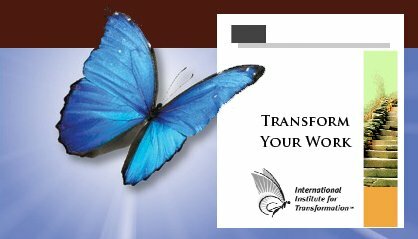 The Transform Your Work self-study ecourse is designed to inspire your life and get you back in the flow. 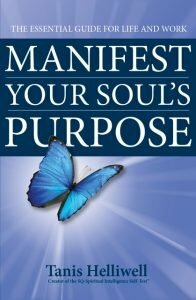 Get valuable tools and techniques that can transform your life and help you manifest your soul’s purpose. Develop your Spiritual Intelligence (SQ), improve your relationships and create happier and healthier work environments. Learn to use your seven major energy centers (chakras) to achieve your goals. Learn the 3 * 2 * 1 system to cultivate people who feed your soul. Complete a multiple intelligence inventory to assess your natural gifts. Build personal capacity through wisdom, love and divine will. Learn 11 strategies to use spiritual intelligence in your work. Solve key problems using intuitive and whole-brain techniques. Work in the flow by managing time in new ways. Bring more peace and joy into your world. Special Offer: When you register for the Transform Your Work Course we give you an 85 minute video with Tanis Helliwell on How to Work with Soul for FREE. Register HERE to receive these valuable materials today at $147 (regular price). Just follow the prompts and download your course materials after purchase. The workbook is downloaded in pdf format, it is not a printed book. The video is available online via a private link. if you have any questions about your download click here.